Welcome to Sage Granada Park United Methodist Church. We have entered a high holy time of the year, with Advent leading up to Christmas and the Epiphany, the manifestation of God’s presence in Emmanuel. There are several key activities to look forward to as we celebrate what God is doing in our world. • Christmas Eve: Saturday, December 24, 5 p.m.
• Christmas Day: Sunday, December 25, 9:30 a.m.
• New Year’s Day (We celebrate as Epiphany Sunday): Sunday, January 1, 2017, 9:30 a.m.
• Baptism of the Lord: Sunday January 8, 9:30 a.m.
At Sage Granada Park, our essential purpose is to live out God’s hospitality. As scripture says, “Welcome one another as Christ has welcomed you” (Romans 15:7). Sage Granada Park United Methodist Church has expressed God’s hospitality through its diverse history. The church history begins with two different strands of Christian faith from the early part of the 20 the century who formed to welcome people in Jesus’ name. The seeds of the Granada Park church were already growing in 1923 with a small Sunday School meeting at Freemont School to meet the spiritual needs of the neighborhood. It grew, and together with others, they became officially Granada Park Community Methodist Church on Easter Sunday, 1924. A few years later in the early 1930s Rev Jutaro Yokoi and his wife Minnie Sage purchased a bus and began picking up children from the farm lands around El Monte to have a weekly Sunday School. By God’s grace, their efforts paid off. Even the challenges of World War II and the incarceration of many Japanese Americans did stop the ministry. However, Sage Methodist Church had to be uprooted on several occasions, moving from El Monte to Monterey Park and eventually to Alhambra. When the two churches, Sage and Granada Park, merged in 1998, it was a mutual expression of God’s hospitality. Today Sage Granada Park United Methodist Church is a multi-cultural and inclusive church united by God’s love and hospitality as expressed in Jesus Christ. Our location is a community center full of activity. We worship in English every Sunday morning at 9:30, with fellowship time afterward. The Church of India follows at 11 am with Gujarati worship. Childcare is available during the worship times, along with Sunday School for children and youth. During the week there are two Bible studies, Boys and Cub Scouts, a ukulele group, interfaith meetings under the Center for Pacific Asian Theology, a Chinese choir, our own choir, a dance group, the Alhambra Center for the Performing Arts, and a PFLAG group. 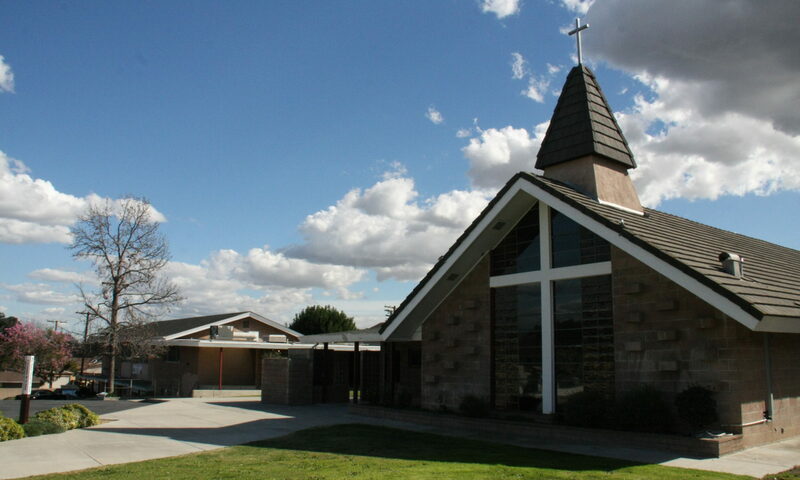 In addition Sage Granada Park United Methodist church is home to a preschool and Japanese school. Granada Park United Methodist Nursery School and Kindergarten has full day, half day and summer programs. Sage Granada Park United Methodist Language School holds Japanese classes on Saturday mornings for children though teenagers. We are also partners with the Kodomo No Ie, the Japanese school that meets at First United Methodist Church in San Gabriel. Hymns are chimed daily from our bell tower are reminders that we are here as an expression of God’s immense love for the world. Come and share in the unfolding movement of God’s hospitality.